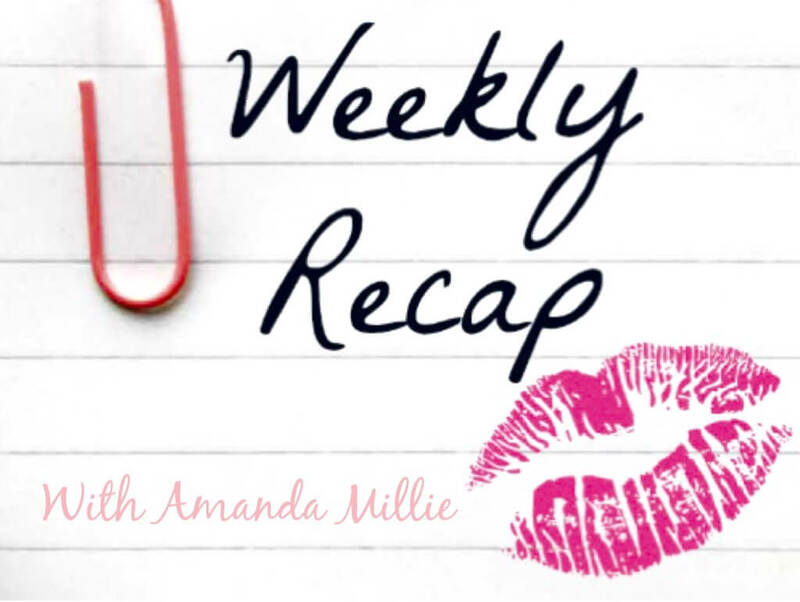 The best of Amanda Millie week 4 and 5! Are we really doing the best of Amanda Millie week 4 and 5, what??? Hey lovelies, gosh it’s been a whirlwind couple of weeks. I’ve had a ton of blog posts planned but alas the time to sit down and actually write them was very limited. The month of May has literally seen me live out of my suitcase, travelling from city to city with work, and June looks like it’s pretty much going to be more of the same. I definitely need to start planning and putting time aside to blog because I really do love to write and connect with you guys. I’m so excited to share some upcoming posts in the next few days, including some great affordable beauty buys, the worlds most comfortable skinny jeans(ok maybe I’m taking this statement a bit too far, but seriously they are crazy comfortable and super stylish), and I’m also finally posting some travel review blog posts that o feel are way overdue. I know, I know, it’s all too exciting for you and you literally can’t contain yourself, but how about a little recap of what’s been going on here so far….. I share with you a very disturbing ordeal I went through with an almost stranger who pretty much scared the heck out of me. This story is scary but it’s only part one, and it gets worse. My scary stalker part two! If you’ve read part one, then you’re definitely going to want to read part two. In this post, what I thought was over turns out I was dead wrong…. Easiest healthiest 3 ingredient pancakes! Oh boy, sometimes opening ourselves up and sharing our vulnerabilities, insecurities and emotional scars can really help us move forward. This post is a little bit of a throwback to a life changing photo shoot I had last year, and I also share about a personal healing journey with body dysmorphic disorder that I’ve been on my entire life. Previous Post Throwback Thursday And Lessons In Self Love! Next Post What I wore: Sunshine and bright colours in London! I need to read the stalker part 2 as I just read part one, thanks for the recap I know what you mean about living in a suitcase for May I literally was. Oh I know how you feel, I had a scary stalker once a long time ago, this person still tries to show up in my life every now and again, even though I have blocked all info about me to this person, she is like a leech!!! I hear yah. I always have more blog ideas in my head than time to actually jot them down.